A good holistic horse health program will help prevent horse ulcers, but most horses are not able to live a totally natural life. Lack of access to native grass pasture and ample room to roam are constant challenges for many horses. 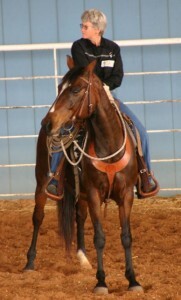 Performance horses have the added stress of hauling and separation from their herd. Discomfort caused by horse ulcers can be temporally lessened by acid blockers, such as GastroGard, but long term relief is better achieved with natural alternatives. GastroGard is a proton pump inhibitor that acts by lowering the production of hydrochloric acid(HCL) and pepsin. Both HCL and pepsin are needed for protein digestion. Other products on the market lower stomach acid by neutralizing it. These products usually contain aluminum, calcium or magnesium. These antacid products do not inhibit pepsin so they have a less serious effect on protein digestion but they do interfere with the absorption of some minerals and B vitamins. Lowering the level or neutralizing HCL in the stomach interferes with the pH of the rest of the digestive tract of the horse. A change in gut pH has negative effects on the population of healthy bacteria and allows the overgrowth of pathogenic bacteria. The resulting dysbiosis has a negative effect on the horse’s immune system as well as digestive ability. Both proton pump inhibitors and antacids will have very negative effects on the body when used long term. Horse ulcers can be caused by physical and/or emotional stresses. Physical causes include high carbohydrate diets that do not stay in the stomach long enough to protect and keep the HCL from contacting the stomach lining, hard exercise that forces stomach acid against the upper part of the stomach where there is less mucous protection and poor fitting saddles that press on the spinal vertebrae that provide nerve supply to the stomach. Fear will cause a horse to tighten his belly muscles which forces acid up on the sensitive parts of the stomach. Nervousness, excitement and separation anxiety will interfere with the natural emptying process of the stomach causing food to be retained too long or dumped out well before it is digested. Undigested starches can be dumped into the large intestine where fiber is meant to be digested by bacteria. Starch in the large intestine changes the bacteria population to digest starch instead of fiber. Without the normal bacteria in the large intestine fiber will ferment and create a different kind of acid that leads to colonic ulcers. Several herbs offer protection for the sensitive upper parts of the stomach. These include licorice, aloe vera, slippery elm and marshmallow. Ulcer prevention products, such as Gastro Plus Pro, increase circulation to the stomach and stimulate the production of protective mucous. The product, Stomach Soother, contains natural enzymes from papaya which relieve acid indigestion. Blue green algae provides a wide range of whole food nutrients to aid healing of the stomach lining so that damage from acid can be repaired before it creates symptoms. Pre and probiotics along with digestive enzymes help normalize the gut even when emotions are running high in the horse. Relaxing herbs such as RelaxBlend and Focus Biscuits can help soothe a nervous, anxious or fearful horse. The Bach Flower remedy, Rescue, can settle nerves when mixed with water and sprayed around the stall or trailer. Homeopathic remedies, such as aconite and chamomile, help some horses handle fear and anxiety. Some horses will do well at home but need short term support from an antacid formula, like G.I.Wise, just at shows. Proton pump inhibitors and antacids can have a place for short term relief of ulcer pain but natural alternatives are much better long term. A good holistic horse health program includes a low starch diet, which is the first step in avoiding horse ulcers. Herbs, blue green algae, pre and probiotics, digestive enzymes, including the natural papaya found in Stomach Soother, Bach Flower and homeopathic remedies are all natural alternatives to GastroGard. If emergency acid reduction is needed, use antacids first before proton pump inhibitors. Unless otherwise attributed, all material is written and edited by Madalyn Ward, DVM. Copyright (c) 2014 HolisticHorsekeeping.com and Madalyn Ward, DVM. All rights reserved. This entry was posted in Feeding Horses, Horse Health Care, Horse Ulcers and tagged holistic horse care, holistic horse health, horse, horses on November 1, 2014 by Madalyn Ward, DVM.